The Rolls-Royce Phantom has always been a symbol of power, opulence, beauty, and human achievement. Each generation, since 1925, has been regarded, by many, as the best car in the world, so when a new generation comes along you can bet it's a big deal. This is the Rolls-Royce Phantom VIII "the most technologically advanced Rolls-Royce ever", and it's also quite a looker. We were treated to a preview of the new Phantom yesterday, and became instantly smitten with it. Here are four reasons you'll want one as well, excluding the obvious, 'it's the most luxurious car in the world', although, that is a very good reason. The first thing you'll notice about the Phantom VIII is the updated design. It's certainly more modern and purer, but retains those classic design cues which make it instantly recognisable as a Phantom. 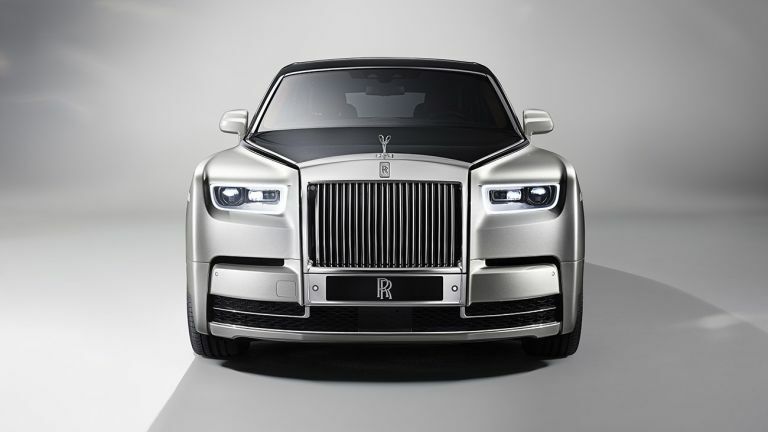 It's clearly an imposing vehicle - we can see a fair share of Hollywood villains choosing the new Phantom to carry out their evil logistics - but it's also a thing of beauty and elegance. Open the doors and you're 'embraced' into the vehicle. Once inside, an assistant or valet steps forward and lightly touches the sensor on the door handle so it 'whispers' closed of its own accord. Rolls-Royce has introduced the concept of 'The Gallery', reinterpreting the Phantom's dashboard into a truly customisable work of art. Essentially, The Gallery is a large piece of toughened glass that runs the full width of the car. Behind the glass you'll find the new digital instrument dial, as well a bespoke work of art, either commissioned by the owner or designed in partnership with artists selected by Rolls-Royce. One of the most impressive pieces of art is designed by Thorsten Franck. It's a gold-plated 3D-printed map created using the owner's DNA. That means that every commission is unique and truly personal. WiFi hotspot and of course the latest navigation and entertainment systems. A 12.3 inch TFT display has replaced the traditional analogue tachymeter, and feature clear and beautiful virtual needles. These screens communicate all essential driver information, as well as secondary info. The infotainment system is based on BMW's rotary iDrive system, and can be hidden behind the centre stack when not in use. At the heart of the Phantom VIII is a silent 6.75-litre V12 engine delivering 563bhp. Underpinning the New Phantom is an all-new aluminium architecture, not derived at all from parent company BMW. The new architecture is lighter, stiffer, quieter and more technologically advanced than previous generations, taking the Roll's 'Magic Carpet Ride' to a whole new level. This aluminium spaceframe will underpin every future Rolls-Royce. The Phantom features the latest generation of self-levelling air suspension, which makes millions of calculations every second to ensure the smoothest ride possible, reacting to speed, steering inputs and camera information. In addition to this, the 'Flagbearer' system (named after the men who were required by law to carry a red flag ahead of early motor cars) uses a dual camera system integrated in the windscreen to analysis the road ahead, adjusting suspension proactively rather than reactively up to 62mph. The 8-speed ZF gearbox also features Satellite Aided Transmission (SAT), to ensure the gearbox is prepared for how the road changes ahead. Bentley Bentayga review: Is Bentley's Bentayga the most powerful, fastest, and most luxurious SUV ever created?